The Apple iPhone X is one of the best devices on the market so to say, but like any other, it has its flaws. Cupertino tried too hard to make it perfect and in doing so, it ended up messing up some of the most basic things about any smartphone. After several weeks of interacting with what many would call Apple’s greatest so far, we have no doubt in what they have to say. However, there are some few aspects about the iPhone X that would make anyone who has been in the iOS ecosystem sick, leave alone those who have also interacted with Google’s Android OS. Apple’s iPhone has been credited for the excellent user experience it gives to users, but with the iPhone X, this basic pillar is no longer what it was – basic. There’s no doubt that the futuristic Face ID feature is, well, futuristic. While it works perfectly when in poorly lit areas, long-term iPhone users will find it new, just like it happened with long-term Samsung Galaxy S and Note users following the shift to a rear-mounted fingerprint scanner – only that it’s worse on the iPhone X. One thing that made the Touch ID so popular is how easy it is to reach your Home screen when picking up the iPhone from a desk. With the iPhone X, you actually have to pick it up and raise it to your face. Of course, Apple knew this would be an inconvenience for many, which is why the phone also comes with a “tap to wake” feature that lets users tap the screen to wake up the phone. When the phone is awake, it’s now time to take a glance at it so that it unlocks the Home screen. Another alternative to this is to reset Face ID such that you hold the iPhone X at stomach level as opposed to going the usual eye level and hopefully it works. When compared to what the Touch ID has been offering users over the past years, this is completely new and unnatural for many iPhone users, even if Apple always tries so hard to make it sound intuitive. Apart from the new experience around the Face ID, there’s also the issue of the interface. As pointed out earlier, the iOS ecosystem is loved by many due to the intuitive user experience it offers right from the interface and down to navigation. While the iPhone 8 and other older iPhones still have this experience, the iPhone X is a different case altogether. It has a totally different user interface when compared to other iPhones using the same iOS 10 it uses. In case you haven’t noticed, it now takes longer to find your way through the iPhone X. There are additional steps and gestures needed to do some of the most basic things and these are nothing but frustrations. For instance, unlike before where unlocking the iPhone only needed a simple touch on the Home button, you have to lift the phone to your eye level so that Face ID can detect you. It doesn’t stop there. You still need to swipe up in order to open the Home screen. Of course, this happens pretty fast, but it’s obviously much faster on the Touch ID-based iPhone 8 and co. You’ll also be bothered by the extra swipes you might need to make just in case there are notifications on the lock screen. And then there are the changes to the interface, where iPhone X users have a new way of accessing the Control Center. This is where you find things like airplane mode, calculator, flashlight and so on. On the new phone, accessing the Control Center needs you to move from swiping up from the bottom to swiping down from the top right corner. With the former, it makes it easy to use the bigger iPhone 8 Plus with one hand, but the latter feature makes it cumbersome when it comes to using one hand on the iPhone X. On the brighter side, Synaptics recently made a breakthrough in the smartphone display technology. 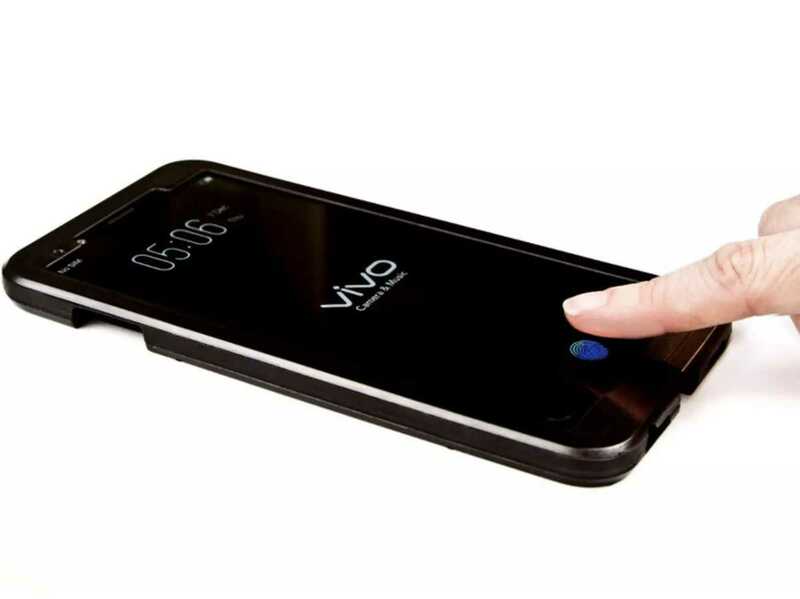 In a few days’ time, Vivo will reportedly be showcasing the first phone to feature an in-display fingerprint scanner. Apple is now always too quick to jump into these new inventions, but with the successor of the iPhone X not expected until September this year, a lot can happen. Cupertino might also opt to perfect Face ID, which is not a terrible idea, but it might not be easy to replace the Touch ID, instead, it’s a lot easier to bring it back and have it under the display screen, even if it’s not this year.